Where Are Greenies and Dentastix Made? Does your dog have horrible breath? Sometimes halitosis is a symptom of serious dental issues. Canines are not as fortunate as humans, in that we can brush our teeth whenever we want, or go to a dentist when we feel something is wrong. Pets rely on us as owners to help them care for their teeth and take them to the vet when they need dental care. 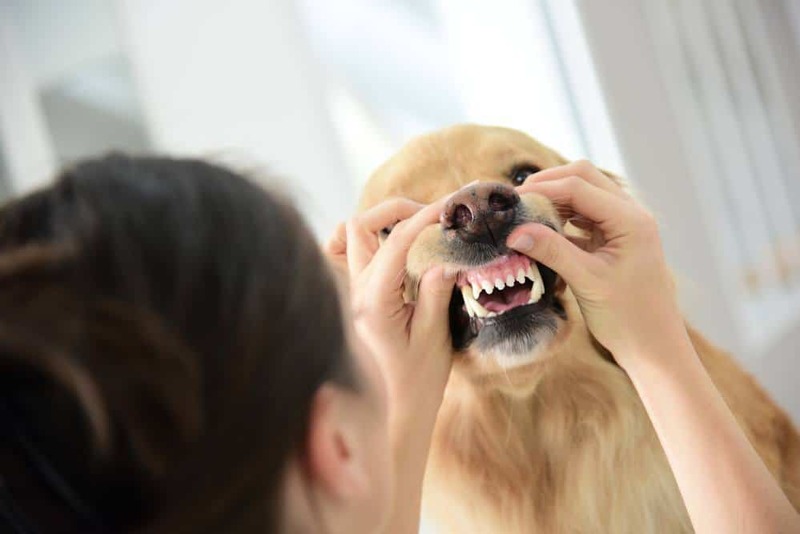 In addition to halitosis, other signs of poor dental hygiene in your pup are plaque, tartar, gingivitis, and loose or wobbly teeth. 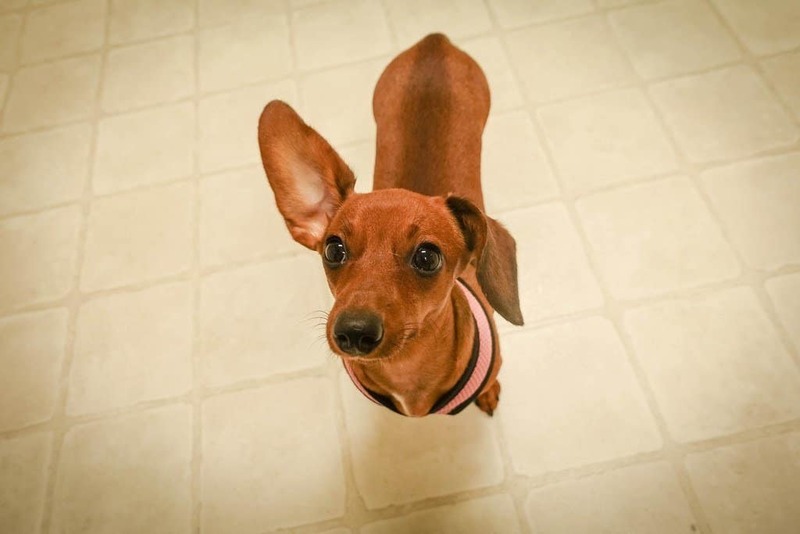 Luckily, there are two brands of dental dog chews, on the market, that receive high ratings and reviews by customers, Greenies, and Dentastix. The way they work is simple. As your canine chews on the dental dog treats, the surface plaque gets scrubbed away. In addition, the chewing will release ingredients that make it hard for bacteria and plaque to harvest. Although they do the same job, there is still debate of which one is better when it comes to Dentastix vs. Greenies. So we are here to provide you with all the information you need to analyze and evaluate both dentastix vs. greenies to help you make the right decision. Dentastix is a product of Pedigree food brand. These dental dog treats feature an “x” shape and come in various lengths suitable for small, medium, and large dogs. 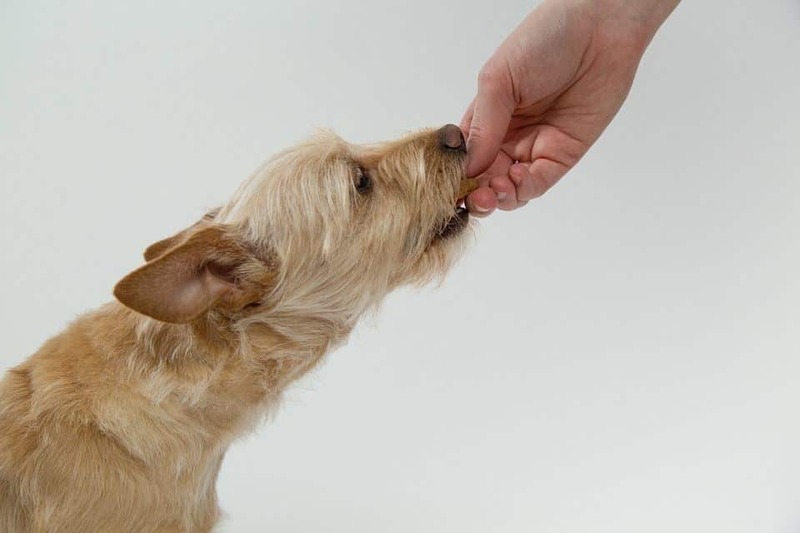 View the following guidelines for Dentastix small and large treats for dogs. Feed small to medium adult dogs (22 – 40 lbs) 1 treat a day. Not suitable for canines and puppies under 22 lbs. Feed large adult dogs (40 + lbs) 1 treat a day. Not suitable for puppies and dogs under 40 lbs. 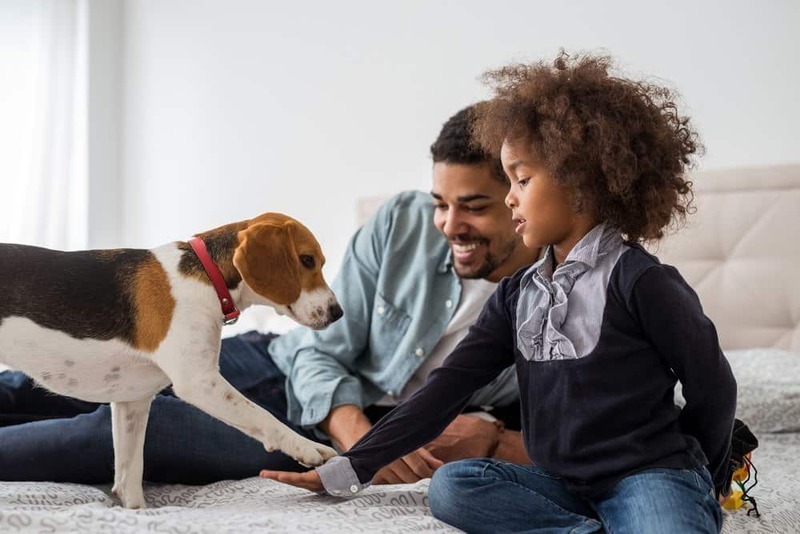 In addition to its various sizes, it comes in multiple flavors, such as beef, bacon, and “fresh.” The “fresh” flavor, is meant to give your pet fresh breath, contains green tea extract and eucalyptus oil. 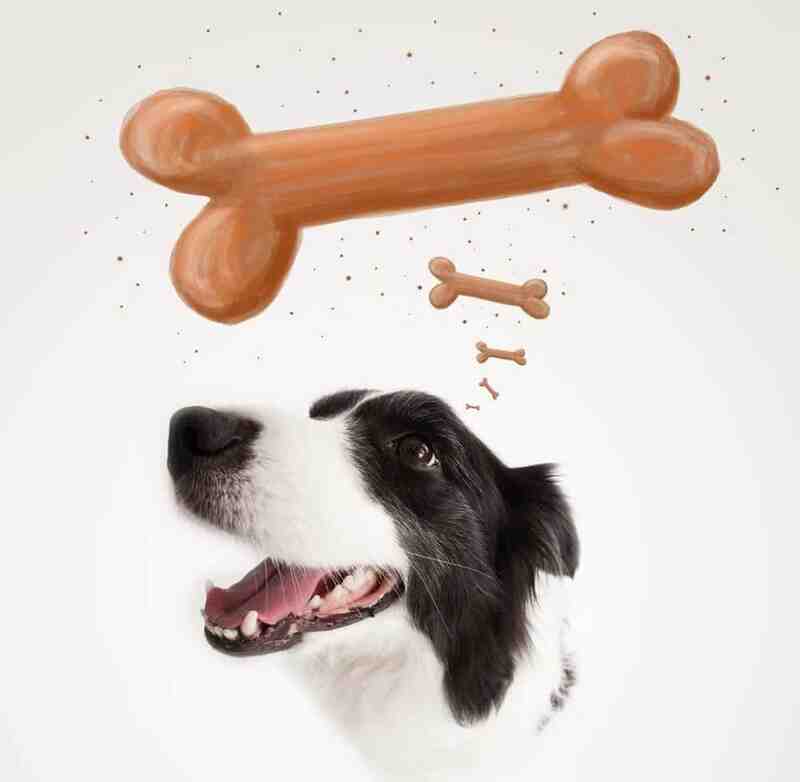 The soft and chewy texture and shape of the Dentastix treats encourage your pet to bite down to its gum line. Doing so will maximize the cleaning effect. However, sometimes the soft texture can make it easy to chew where dogs will swallow the treat before it has a chance to take effect. Nutro Greenies is the pioneer of dental chews with these green treats. 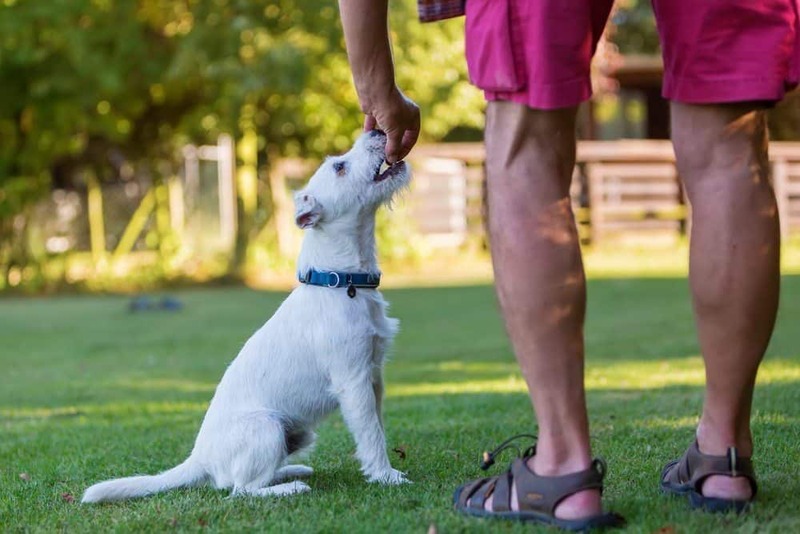 At first, these dental dog treats were only available through a veterinarian and given the Veterinary Oral Health Council’s (VOHC) seal of approval. Nowadays, they are readily available from many retailers. 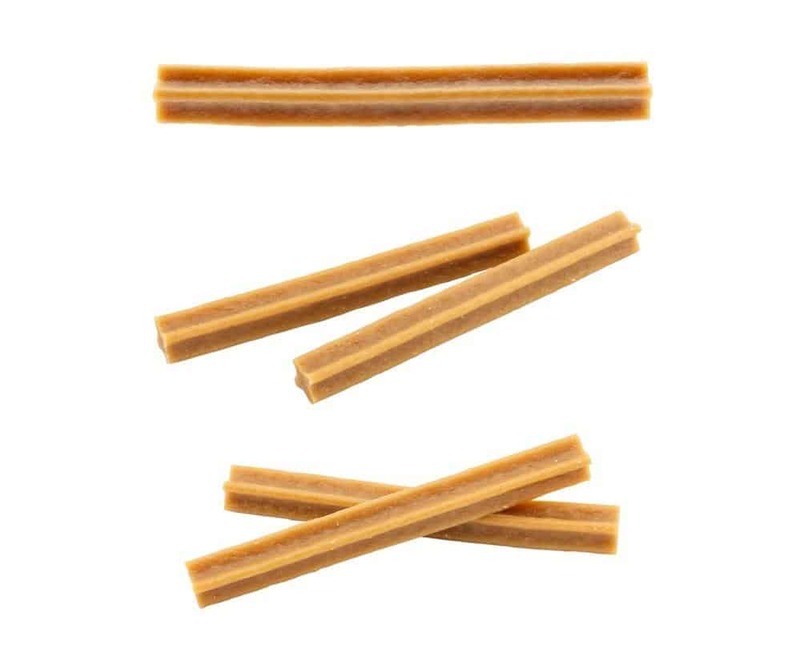 These dental sticks are full of highly soluble ingredients that are easy to digest. Also, they are full of vitamins, minerals, and low in fat, which will keep your canine happy and healthy. Greenies dental chews guarantee fresh breath and will help your dog maintain healthy gums and teeth as they fight plaque and tartar build-up. Dog’s love these oral hygiene treats and can’t wait to get their paws on them. Pedigree and Greenies are both brands of Mars Petcare and produced in the United States. Mars Petcare has been in operation for over 75 years and is home to 3 of the top 5 dog food brands in the world. Their goal is always to put the needs of pets first, serving the nutrition and health needs of dogs, cats, horses, fish, and birds every day. Pet nutrition is the top priority of Mars Petcare as they strive to create nutritious formulas through advanced scientific research. More importantly, the company never compromises to ensure the quality and safety of their products. The company’s advanced scientific research in pet nutrition takes place at their Waltham Centre for Pet Nutrition. This center is a world-renowned scientific authority on pet nutrition and wellbeing. Another point to mention is that sustainability is an essential part of Mars Petcare’s supply chain. Through sustainable sourcing, they hope to drive down the environmental impact in their pursuit of high-quality ingredients. Yes, both come from the Mars Company, but these two dental dog treats have different ingredients. Of course, ingredients are of the primary concerns among pet parents. We all want to make sure our pet dogs are eating quality ingredients. Below, we have broken down the ingredients in each oral care dog treat. Dentastix is grain-free, which is excellent for dogs that are allergic or sensitive to whole grains. A couple of ingredients that may be familiar are potatoes and chickpeas. However, there are some ingredients that customers have criticized. Sodium Tripolyphosphate is an artificial preservative that has been known to cause vomiting. Smoke Flavor may cause cancer. Potassium Sorbate is a preservative that may irritate eyes, skin or respiratory tract. It may negatively affect the dog’s immune system. May cause cancer. Meat and Animal Derivatives can be anything from lungs, intestines, etc. There are determined by whatever is available or cheapest for the manufacturer. Iron Oxide is known to irritate skin and eyes. May cause cancer. Smoke Flavor is an artificial flavor that may not contain any real meat. Greenies dental treats are nutritious and full of natural ingredients for healthy teeth and gums. It is guaranteed to freshen breath and fight against plaque and tartar. Dental care and maintenance are easy with these treats due to the highly soluble ingredients. However, this product does contain whole wheat, so be careful if your pup has food allergies. It is important to know that Greenies Dental Treats meet the nutritional levels set by the AAFCO Dog Food Nutrient Profiles for adult dog maintenance. 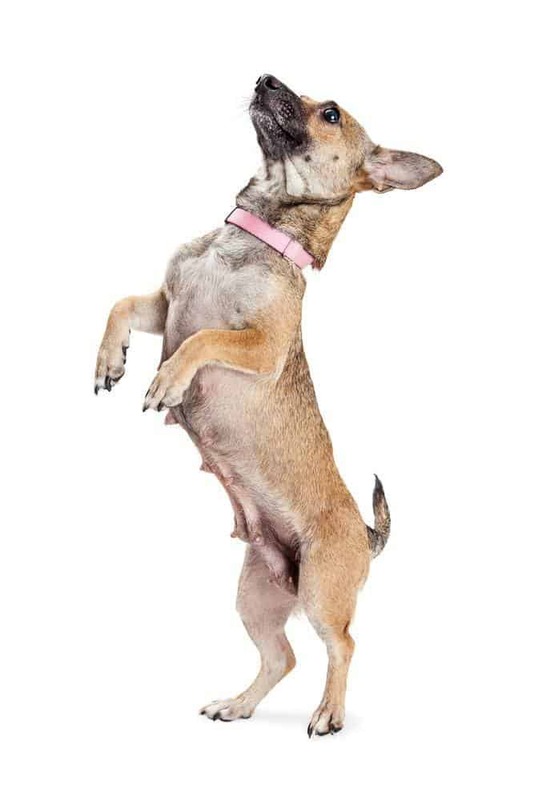 As you’re deciding which dental care treats for dogs to purchase, Greenies vs. Dentastix, look closely at the nutrition and guaranteed analysis. These types of dental dog treats are also sources of macronutrients. Macronutrients such as fat and protein provide energy for your canine. If your pet is on a special diet, like a low calorie or low-fat diet, then consider that when choosing between the two. As you compare their guaranteed analysis, Greenies has a higher crude protein content at 30%, than Dentastix at 14%. Depending on your dog’s health, age, and strictness of diet, you may want to choose Dentastix chews if you’re looking for a treat with lower protein content. For example, dogs with kidney or liver conditions may benefit from lower protein. Or, if you’re trying to help your pet gain weight, higher protein content may help in that effort. Remember, fat is used to improve palatability and texture of foods. Also, fat in dog foods carry the necessary fat-soluble vitamins, such as A, D, E, and K.
As you look at the fat content of the two oral care treats, Greenies has a higher crude fat content than Dentastix, 7% to 2%. But once again, depending on your dog’s age, health, and diet, your dog may need a dental chew that has a high or low crude fat content. Depending on your dog’s breed and health, you may be counting the number of calories your pet consumes. For example, an older English Bulldog may need a lower daily calorie intake due to their lack of activity. Also, one thing to remember as you search the back label is the kilocalorie (kcal) count. For reference, 1 kcal = 1,000 calories. The small treats contain 53 kcals. The large treats contain 76 kcals. 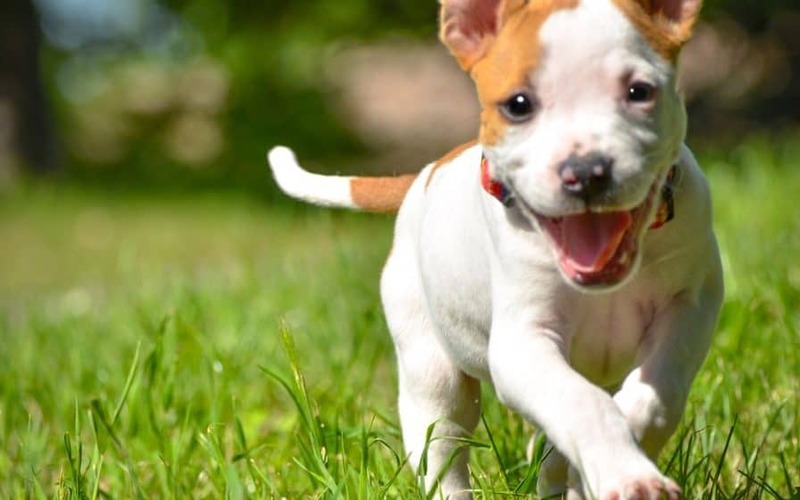 Pedigree, which is the parent company of Dentastix has recalled some of its products. Some reasons for recalls were possible salmonella contamination and found foreign objects in some of their dry food products. However, there have not been any recalls directly related to Dentastix. 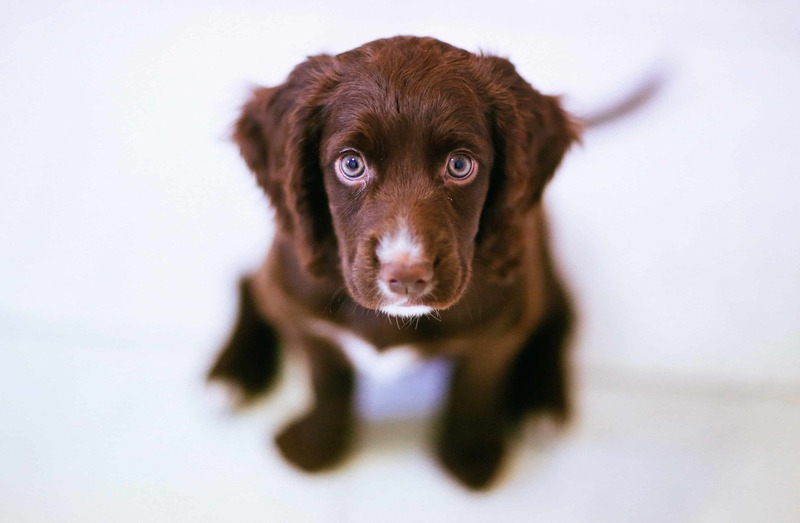 Nutro is the parent company of Greenies and has recalled some of its products. Some of the reasons for the recall of Nutro products were due to mold contamination and found foreign objects in some of their dog treats. But just like Dentastix, there was no recall directly related to Greenies. Just like any food or treat on the market, not all dogs will react the same to these products. Some consumers have given positive reviews that they are wonderful dental treats and that there have been no negative side effects. However, some have reported that their dogs have become sick, citing vomiting. Also, some customers have said their pets have choked on the treats. As we stated earlier, Dentastix does have some ingredients to be wary of due to the related risks. Some prefer Greenies do to their all-natural formula. To mitigate these issues, as with any new food or treat you give your dog, always observe for any negative effects to their health. Pedigree even suggests keeping water close by for your pet. Also, be sure to purchase the right size treat that corresponds to your dog’s weight. Some instances of choking are because owners buy the wrong size. If your dog becomes sick, stop using right away. 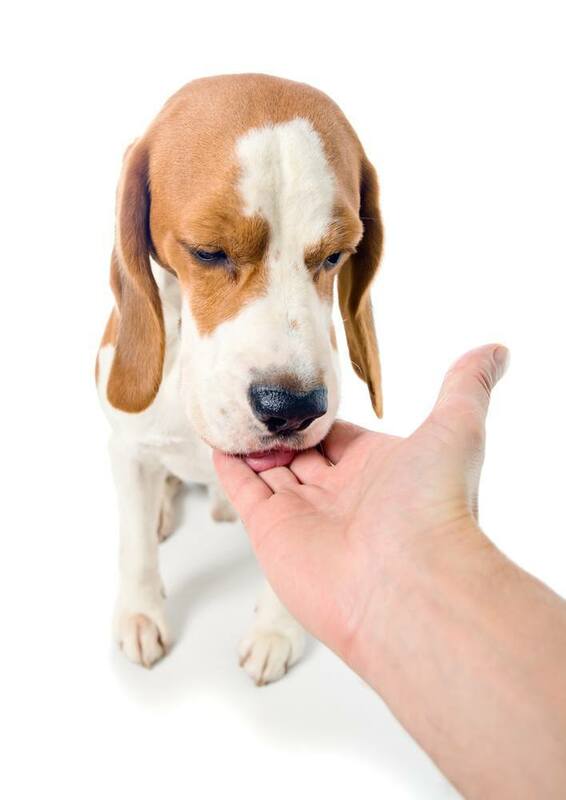 These treats are excellent supplements to maintain proper oral hygiene for your pet. However, these should not be replacements for taking your dog to the vet for teeth cleaning. Both products come from the Mars Petcare, which uses advanced research and technology to provide quality animal products on the market. The big difference is that Greenies has the Veterinary Oral Health Council’s seal of approval, which means it has been studied and proved to have some dental benefits. I’m not allowed to tell you whether or not Vets recommend dentastix. What I do recommend, is that you do see your pet’s go to the veterinarian and see what they say. Each dog is different, so you want to see if giving them dentastix is a smart choice. Typically, when a dog swallows whole, they end up having an upset stomach. Most of the times, dogs will just vomit it if that’s the case. For the most part, when dogs do eat an entire dentastix (without chewing), they typically digest it all. That’s not to say that there’s never a possibility of obstruction if your dog were to eat a Dentastix as a whole. But keep in mind that Purina is a well-known company where they’ve done multiple tests to make sure that Dentastix doesn’t cause any blockage. The best advice is to seek out a vet first, to make sure that you can give your dog Dentastix. Since all dogs behave differently. Both of these products come from the same parent company, Mars Petcare, so you know you’re getting quality products that are responsibly sourced. Although both come from the same manufacturer and are both dental care chews, they do have some differences. The choice is ultimately yours based on your preferences. But before you purchase, consider the size of your dog and the size of the dental chews you will need. Check the ingredients, and decide if you want a dental snack that has all natural ingredients in Greenies, or are you okay with a treat that has some preservatives in Dentastix. 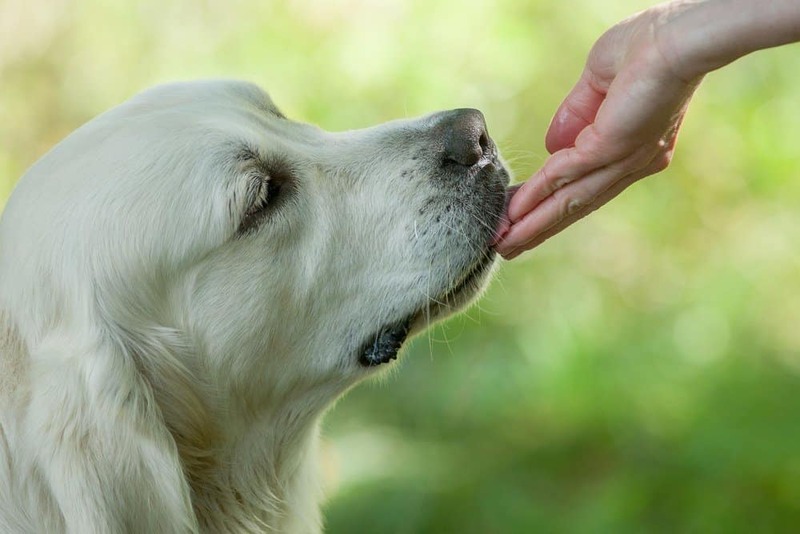 Be cautious and observe your canine after you give them the dental treats to make sure they do not react negatively to the products. We hope you found a ton of great information on our Greenies vs Dentastix guide.